Magical Rainbow Cake For Gypsy Fairy Gardens. Full Description: This sweet treat is the perfect snack for a unicorn! 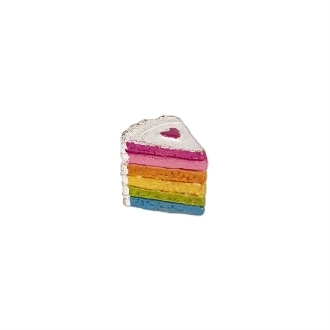 Each slice of magical rainbox cake features all-weather paint and is made of resin.